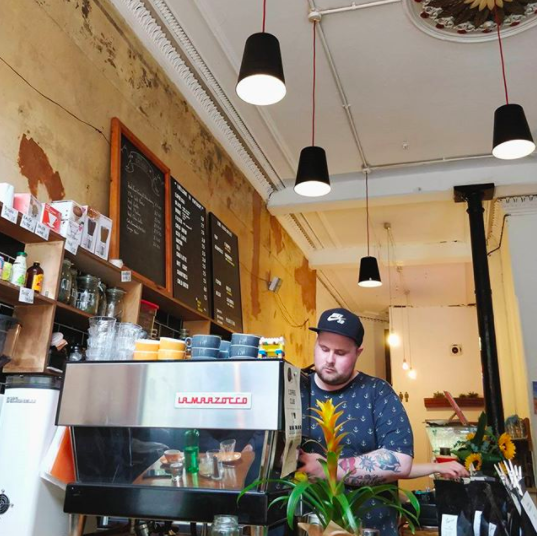 Located in Glasgows West End, our cafe is a must-go destination for a coffee and food experience in Glasgow. As well as our world class coffee, our experienced and friendly staff offer a small, yet unique food service focussing on ethical and sustainable raw materials such as organic meats or fresh farm eggs. It's fresh to death and very very tasty. The environment is relaxed and unpretentious with good vibes all round. It's simple but a bit different. Within a stones throw of the cafe you can visit many famous Glasgow landmarks such as the Botanic gardens, Kelvingrove Park or Glasgow University or you could spend some time browsing a plethora of unique independent stores.